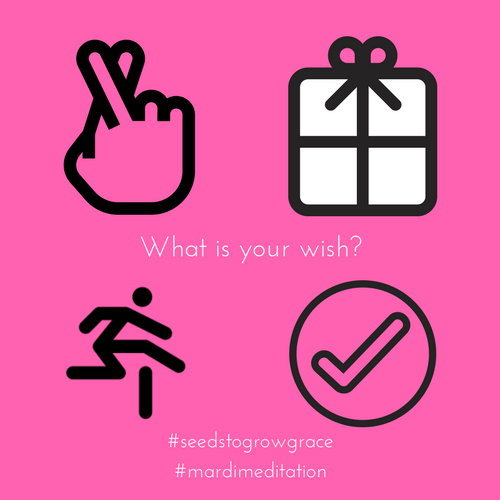 What is the outcome if your wish comes true? What obstacles within your control could keep your wish from coming true? What is your plan to clear those obstacles? Sit (or walk) with these questions. Honestly ask and answer. Commit to clearing your obstacles. * WOOP (wish, outcome, obstacle, plan) adapted from Gabriele Oettingen’s Rethinking Positive Thinking.